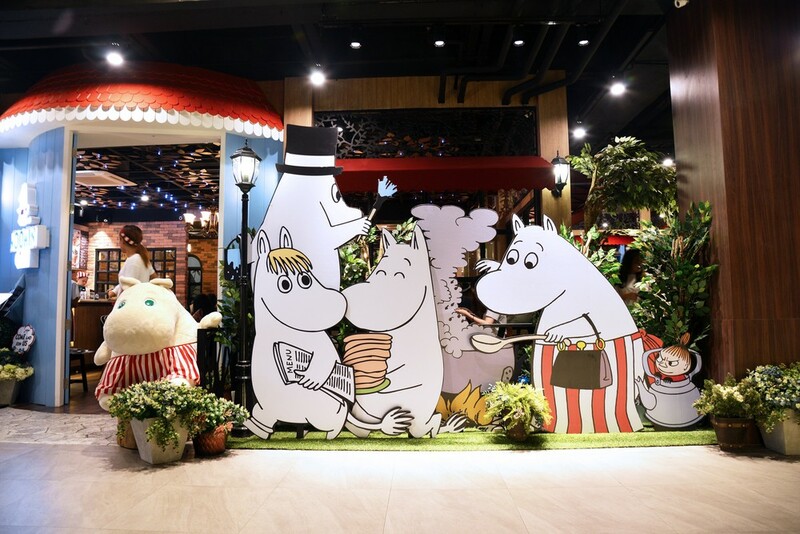 A ceremony marking the end of construction work was held Wednesday for Japan's first Moomin-themed amusement park, which is located near Tokyo and scheduled for a phased opening beginning this November. Newly appointed Finnish Ambassador to Japan Pekka Orpana was among those attending the event in Hanno, Saitama Prefecture, to celebrate the completion of the park named Metsa, built in a 23.6-hectare forest area surrounding a manmade lake. The park consists of two areas -- Metsa Village, featuring restaurants and other facilities offering glimpses into Northern European lifestyles, and Moomin Valley Park, which contains structures from Moomin stories and where attractions will be held. The former is slated to open Nov. 9, while the latter opens on March 16 next year, according to investment firm FinTech Global Inc., a major stakeholder. Initially, the Tokyo-based company had eyed launching the amusement park in 2015, but adjusted its timeline due to difficulties finding a proper site. Infrastructural work started in June of last year. The Moomin characters, created by Finnish author-illustrator Tove Jansson, became popular in Japan through a TV animation series that debuted in 1969. "Metsa" means forest in the Finnish language.